The aim of this chapter is to analyze the psychological well-being of university students, their self-concept and certain behaviours and attitudes of violence in couple relationships by gender and cultural group (European vs. Amazigh) as well as to determine the relationship amongst the three constructs evaluated. For it, 100 university students of the University Campus of Melilla, Spain, participated in the research. The Psychological Well-Being Scale (PWBS), the Test of Self-Concept Form 5 (AF-5), and the Dating Violence Questionnaire (DVQ) were the instruments used for the data collection. Main results showed differences by gender on the Degree of distress experienced by the presence of violent behaviours and attitudes in couple relationships, the Academic/Professional Self-concept and Self-Esteem. Regarding cultural group, differences were showed on the Couple Relationships Scale of PWBS. In addition, different correlations were found. Finally, the need to address the elements analyzed at the university context is discussed. Concern about the quality of teaching in Higher Education necessarily involves analyzing the different variables that can facilitate or hinder the process of teaching and learning with university students. Their psychological well-being is an element that is necessary to address (Salavona, Martinez, Bresó, Llorens, & Grau, 2005). In this sense, the scientific literature highlights the need to analyze and promote the psychological well-being of university students (Audin, Davy, & Barkham, 2003; Cooke, Bewick, Barkham, Bradley, & Audin, 2006; Howell, 2009; Ruthig, Haynes, Perry, & Chipperfield, 2007). Also, the association between psychological well-being, self-concept and performance in the university context is a reality that has to be addressed by institutions of Higher Education (Stupnisky, Perry, Renaud, & Hladkyj, 2013). 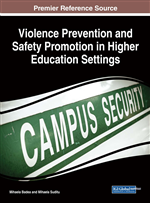 Moreover, within university classrooms, affective or partner relationships among university students also take place, allowing the existence of beliefs and tolerant attitudes towards violence against women in the dating relationship (Ferrer, Bosch, Ramis, Torres, & Navarro, 2006) as well as violence in young partners (González & Santana, 2001; Strauss, 2004). To analyze the frequency and degree of discomfort with the appearance of certain negative behaviors and attitudes experienced by dating couples, as well as the psychological well-being and self-concept of university students according to gender and cultural group. To establish if there is a relationship amongst these negative behaviors and attitudes in dating relationships, the psychological well-being and self-concept of students.